This page lists the winners and nominees for the NAACP Image Award for Outstanding Supporting Actor in a Motion Picture. The award was introduced in 1970 and was awarded sporadically until its permanent feature from 1995 onwards. There are several performances by actors that won or were nominated for Academy Awards, they are listed alongside a symbol. Morgan Freeman and Denzel Washington currently hold the record for most wins in this category, with four each. Tyler Perry Why Did I Get Married? ^ "1970 Image Award Winners". Awards and Winners. Retrieved August 2, 2016. ^ "1972 Image Awards". Awards and Winners. Retrieved August 5, 2016. ^ "1977 Image Awards". Awards and Winners. Retrieved August 5, 2016. ^ "1982 Image Awards". Awards and Winners. Retrieved August 5, 2016. ^ "1983 Image Awards". Awards and Winners. Retrieved August 5, 2016. ^ "1985 Image Awards". Awards and Winners. Retrieved August 5, 2016. ^ "1988 Image Awards". Awards and Winners. Retrieved August 5, 2016. ^ Snow, Shauna (11 November 1988). "Nominees for 21st Image Awards Announced". Los Angeles Times. Retrieved 21 January 2017. ^ "1990 Image Award Winners". IMDb. Retrieved August 2, 2016. ^ "1991 Image Awards". Awards and Winners. Retrieved August 5, 2016. ^ "1992 Image Awards". Awards and Winners. Retrieved August 4, 2016. ^ "1995 Image Award Winners". IMDb. Retrieved August 2, 2016. ^ Snow, Shauna (22 February 1996). "5 Films Head Nominations for NAACP Image Awards". Los Angeles Times. Retrieved 21 January 2017. ^ "1997 Image Award Winners". IMDb. Retrieved August 2, 2016. ^ "1998 Image Award Winners". Awards and Winners. Retrieved August 2, 2016. ^ "The Crisis". The Crisis Publishing Company, Inc. 1 April 1999. Retrieved 21 January 2017. ^ "2000 Image Award Winners". Awards and Winners. Retrieved August 2, 2016. ^ "2001 Image Award Winners". Awards and Winners. Retrieved August 2, 2016. ^ "2002 Image Award Winners". Awards and Winners. Retrieved August 2, 2016. ^ "2003 Image Award Winners". Awards and Winners. Retrieved August 2, 2016. ^ "2004 Image Award Winners". IMDb. Retrieved August 2, 2016. ^ "2005 Image Award Winners". Awards and Winners. Retrieved August 2, 2016. ^ "2006 Image Award Winners". Awards and Winners. Retrieved August 2, 2016. ^ "2007 Image Award Winners". Awards and Winners. Retrieved August 2, 2016. ^ "2008 Image Award Winners". Awards and Winners. Retrieved August 2, 2016. ^ "2009 Image Award Winners". Awards and Winners. Retrieved August 2, 2016. ^ "2010 Image Award Winners". Awards and Winners. Retrieved August 2, 2016. ^ "2011 Image Award Winners". Awards and Winners. Retrieved August 2, 2016. ^ "2012 Image Award Winners". Awards and Winners. Retrieved August 2, 2016. ^ Couch, Aaron (February 1, 2013). "2013 Image Winners". The Hollywood Reporter. Retrieved August 2, 2016. ^ Couch, Aaron (February 22, 2014). "2014 Image Winners". The Hollywood Reporter. Retrieved August 2, 2016. ^ Washington, Arlene (February 6, 2015). "2015 Image Winners". The Hollywood Reporter. Retrieved August 2, 2016. ^ "2016 Image Winners". Variety. Retrieved August 2, 2016. ^ Hipes, Patrick (December 13, 2016). "Ruth Negga, Angela Bassett and Taraji P. Henson nominated". Deadline. Retrieved January 2, 2017. ^ "NAACP Image Awards: 'Marshall,' 'Get Out,' 'Girls Trip' Dominate Film Nominations". The Hollywood Reporter. January 11, 2018. Retrieved January 29, 2018. Field of Dreams is a 1989 American fantasy-drama sports film directed by Phil Alden Robinson, who wrote the screenplay, adapting W. P. Kinsellas novel Shoeless Joe. It stars Kevin Costner, Amy Madigan, James Earl Jones, Ray Liotta and it was nominated for three Academy Awards, Best Original Score, Best Adapted Screenplay and Best Picture. Ray Kinsella is a novice Iowa farmer who lives with his wife, Annie, in the opening narration, he explains how he had a troubled relationship with his father, John Kinsella, who had been a devoted baseball fan. While walking through his cornfield one evening, he hears a voice whispering, If you build it and he continues hearing this before finally seeing a vision of a baseball diamond in his field. Annie is skeptical, but she allows him to plow the corn under in order to build a baseball field, as he builds, he tells Karin the story of the 1919 Black Sox Scandal. Months pass and nothing happens, his family faces financial ruin until, one night, Ray recognizes him as Shoeless Joe Jackson, a deceased baseball player idolized by John. Thrilled to be able to play again, he asks to bring others to the field to play. He returns with the seven players banned as a result of the 1919 scandal. Rays brother-in-law, cant see the players and warns him that he will go bankrupt unless he replants his corn, while in the field, Ray hears the voice again, this time urging him to ease his pain. Ray attends a PTA meeting at which the possible banning of books by radical author Terence Mann is discussed and he decides the voice was referring to Mann. He comes across a magazine dealing with Manns childhood dream of playing for the Brooklyn Dodgers. After Ray and Annie both dream about him and Mann attending a game together at Fenway Park, he convinces her that he should seek out Mann. He heads to Boston and persuades a reluctant, embittered Mann to attend a game with him at Fenway Park, while there, he hears the voice again, this time urging him to go the distance. At the same time, the scoreboard shows statistics for a player named Archibald Moonlight Graham, who played one game for the New York Giants in 1905, after the game, Mann eventually admits that he, saw it. Arsenio Hall is an American comedian and talk show host. He is best known for hosting The Arsenio Hall Show, a talk show that ran from 1989 until 1994. Other television shows and films Hall has appeared in are Martial Law, Star Search, Coming to America, Hall is known for his appearance as Alan Thickes sidekick on the talk show Thicke of the Night. In 2012, Hall won NBCs reality-competition game show Celebrity Apprentice 5, Arsenio was born in Cleveland, the son of Fred and Anne Hall. His father is a Baptist minister, Hall performed as a magician when he was a child. He graduated from Warrensville Heights High School in Warrensville Heights, Ohio in 1973, after he graduated, he attended Ohio University, where he was on the speech team with Nancy Cartwright. He transferred to and graduated from Kent State University in 1977, Hall moved to Chicago, and Los Angeles, to pursue a career in comedy, making a couple of appearances on Soul Train. In 1984, he was the announcer/sidekick for Alan Thicke during the talk show Thicke of the Night. Arsenio was the voice of Winston Zeddemore in the cartoon The Real Ghostbusters from 1986 to 1987. In 1988, he co-starred in the comedy film Coming to America with Eddie Murphy, in 1986, the Fox network introduced The Late Show Starring Joan Rivers, created to directly challenge The Tonight Show Starring Johnny Carson. After a moderate start, ratings for the show sagged, behind-the-scenes relations between Rivers and network executives at Fox quickly eroded, and Rivers left in 1987. The series was subsequently renamed The Late Show, and featured several hosts, including Ross Shafer, Suzanne Somers, Richard Belzer and Robert Townsend before it was cancelled in 1988. Hall was chosen to host the show in the fall of 1987, from January 2,1989 until May 27,1994, he had a Paramount contract to host a nationwide syndicated late night talk show, The Arsenio Hall Show. The practice soon became such a ritual that by 1991 had become a pop culture stamp of approval — one that Hall said had become so popular its getting on peoples nerves. Lean on Me is a 1989 dramatized biographical film written by Michael Schiffer, directed by John G. Avildsen and starring Morgan Freeman. This films title refers to the 1972 Bill Withers song of the same name, parts of the film, including the elementary school scenes, were filmed in Franklin Lakes, New Jersey. In 1987, the once successful Eastside High School in Paterson, New Jersey, has deteriorated due to drugs, the majority of students cannot pass basic skills testing and not even teachers are safe from gang violence. Mayor Bottman learns that the school will be turned over to state administration if 75% of the students pass the minimum basic skills test. He consults school superintendent Dr. Frank Napier, who suggests the school hire elementary school principal Joe Clark, aka Crazy Joe, the mayor is reluctant at first, but Clark is hired. He expels 300 students identified as drug dealers or abusers and troublemakers and he institutes programs to improve school spirit including repainting graffiti covered walls and requiring students to learn the school song and be punished if they cannot sing it on demand. When one of the students is found beating up another student. Some parents react strongly to these measures including Leonna Barrett, mother of one of the expelled students, clarks actions do begin to have a positive effect on his students. Thomas Sams, a student expelled for crack use, pleads to be allowed to return to school, Clark reunites Kaneesha Carter with her estranged mother. Despite these efforts, a skills test results in another poor performance and he angrily confronts his staff for failing to educate their students. He institutes a program to encourage remedial reading courses on Saturdays which parents may attend alongside their children, when the minimum basic skills test is finally assessed, the students are much better prepared and filled with a sense of self-worth. Before the results can arrive, the fire chief raids the school and that night, the student body converges on the Central Office of the Paterson Board of Education, where the school board, led by Ms. Barrett, is voting to have Clark removed. The film stars Vic Morrow, Scatman Crothers, Kathleen Quinlan and John Lithgow with Dan Aykroyd and Albert Brooks in the prologue segment. Burgess Meredith, who starred in four episodes of the original series, in addition to Meredith, six actors from the original series had roles in the film. The film is a remake of three episodes of the original series and includes one original story. Landis directed the prologue and the first segment, Spielberg directed the second, Joe Dante the third, the two child actors were hired illegally. Their deaths led to a legal case, although at the end of the trial no one was found to be criminally culpable for the accident. The driver talks about a game he finds amusing, he switches off the cars headlights. After the passenger admits that he is uncomfortable, the laughs it off. With no tape or radio, the start a Name That Tune game with television theme songs such as Sea Hunt and Hawaii Five-O. The conversation turns to what episodes of the series they found most scary, such as Burgess Meredith in Time Enough at Last, the passenger asks the driver, Do you want to see something really scary. The driver obliges and reluctantly pulls over, the passenger turns his face away, turns back around having transformed into a monster and attacks the driver. Youre moving into a land of both shadow and substance of things and ideas, the films only original segment was the first, directed by John Landis. It is loosely based on the original Twilight Zone series episode A Quality of Mercy, with the opening narration borrowing from What You Need and A Nice Place to Visit. The narrator starts with this monologue, Youre about to meet a man, Mr. William Connor. This is a man, a lonely man, whos tired of waiting for the breaks that come to others. Mr. William Connor, whose own blind hatred is about to him into the darkest corner of the Twilight Zone. Bill Connor is a bigot who is bitter after being passed over for a promotion in favor of a Jewish co-worker. Drinking in a bar after work with his friends, Bill utters slurs towards Jews, Blacks, a Black man sitting nearby asks him to stop, embarrassing Bills friends. Glory is a 1989 American war film directed by Edward Zwick and starring Matthew Broderick, Denzel Washington, Cary Elwes and Morgan Freeman. 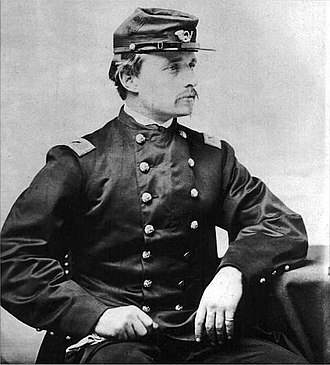 The regiment is known for its heroic actions at Fort Wagner. The film was nominated for five Academy Awards and won three, including Denzel Washington for Best Supporting Actor for his portrayal of Private Tripp. It won many awards, including from the British Academy, the Golden Globe Awards, the Kansas City Film Critics Circle, Political Film Society. The film was co-produced by TriStar Pictures and Freddie Fields Productions and it premiered in limited release in the U. S. on December 14,1989, and in wide release on February 16,1990, making $26,828,365 on an $18 million budget. The soundtrack, composed by James Horner and performed in part by Boys Choir of Harlem, was released on January 23,1990, the home video was distributed by Sony Pictures Home Entertainment. On June 2,2009, a widescreen Blu-ray version, featuring the directors commentary, during the American Civil War, Captain Robert Gould Shaw is injured in the Battle of Antietam and sent home to Boston on medical leave. He visits his family there, where he meets the abolitionist Frederick Douglass, Shaw is offered a promotion to the rank of Colonel to command one of the first all-black regiments in the Union Army, the 54th Regiment Massachusetts Volunteer Infantry. He accepts and asks his friend, 2nd Lieutenant Cabot Forbes, to serve as his second in command. Their first volunteer is another friend, Thomas Searles, a bookish free African American, other recruits soon follow, including battlefield gravedigger John Rawlins, timid freeman Jupiter Sharts, cantankerous slave escapee Silas Tripp, and a teenage drummer boy who is mute. Tripp instantly clashes with Searles and Rawlins is forced to keep the peace between them, the black soldiers undergo a severe training regimen under Irish Sergeant-Major Mulcahy. When Shaw confronts Mulcahy about his methods he comes to realize that Mulcahy is in training them fairly and is trying to prepare the men for the extreme challenges that they will face. When Tripp goes AWOL and is caught, Shaw orders him flogged in front of the troops, the scars from his beatings as a slave are exposed, giving pause to the abolitionist Shaw. In a career that has spanned more than 50 years he has worked extensively on stage and film. Guillaume was born in St. Louis, Missouri and he studied at St. Louis University and Washington University and served in the United States Army before pursuing an acting career. 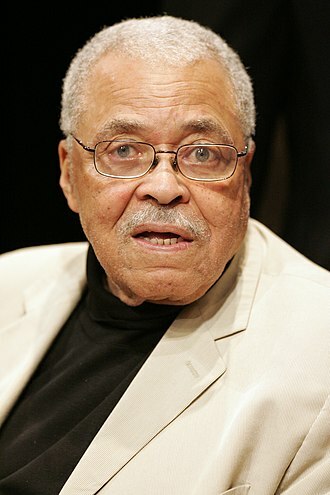 After leaving the university, Guillaume joined the Karamu Players in Cleveland and performed in musical comedies and he toured the world in 1959 as a cast member of the Broadway musical Free and Easy. He made his Broadway debut in Kwamina in 1961, added roles were in Katherine Dunhams Bambouche and in Fly The Blackbird. In 1964 he portrayed Sportin Life in a revival of Porgy, Guillaume has been a member of the Robert de Cormier Singers, performing in concerts and on television. He has soloed on The Tonight Show and he recorded a LP record, Columbia CS9033, titled Just Arrived as a member of The Pilgrims, a folk trio, with Angeline Butler and Millard Williams. In the sixties he was in Vienna, Europe at the Vienna Volksoper, marcel Prawy engaged Robert Guillaume for the role of Sporting Life in Porgy and Bess. Forest Steven Whitaker III is an American actor and director. According to DNA tests, his father was of Igbo descent, when Whitaker was four, his family moved to Carson, California. Whitaker has two brothers, Kenn Whitaker, an actor, and Damon, and an older sister. Whitakers first role as an actor was the lead in Dylan Thomas play Under Milk Wood, Whitaker attended California State Polytechnic University, Pomona on a football scholarship, but a back injury made him change his major to music. He toured England with the Cal Poly Chamber Singers in 1980, while still at Cal Poly, he briefly changed his major to drama. He was accepted to the Music Conservatory at the University of Southern California to study opera as a tenor and he graduated from USC in 1982. He earned a scholarship to the Berkeley, California branch of the Drama Studio London, Whitaker was pursuing a degree in The Core of Conflict, Studies in Peace and Reconciliation at New York Universitys Gallatin School of Individualized Study in 2004. In 1986, he appeared in Martin Scorseses The Color of Money, the following year, he co-starred in the comedy Good Morning, Vietnam. In 1988, Whitaker appeared in the film Bloodsport and had his first lead role starring as musician Charlie Bird Parker in Clint Eastwoods Bird. To prepare himself for the part, he sequestered himself in a loft with only a bed and his performance, which has been called transcendent, earned him the Best Actor award at the 1988 Cannes Film Festival and a Golden Globe nomination. Whitaker continued to work with a number of directors throughout the 1990s. He starred in the 1990 film Downtown and was cast in the role of Jody. Todd McCarthy of Variety described Whitakers performance as big-hearted, hugely emotional, in 1994, he was a member of the cast that won the first ever National Board of Review Award for Best Acting by an Ensemble for Robert Altmans film, Prêt-à-Porter. He gave an emotional performance in Wayne Wang and Paul Austers 1995 film. Whitaker played a serene, pigeon-raising, bushido-following, mob hit man in Ghost Dog, The Way of the Samurai, many consider this to have been a definitive role for Whitaker. Mario Van Peebles is an American film director and actor best known for directing New Jack City in 1991. He is the son of actor and filmmaker Melvin Van Peebles, Mario Chip Cain Van Peebles was born Mario Cain Van Peebles in Mexico City, the son of writer and actor Melvin Van Peebles and German actress and photographer Maria Marx. He graduated from Saint Thomas More School in Connecticut in 1974, Van Peebles played the lead in the short-lived detective show Sonny Spoon. The show ran for two seasons, both of which aired in 1988, before being canceled. 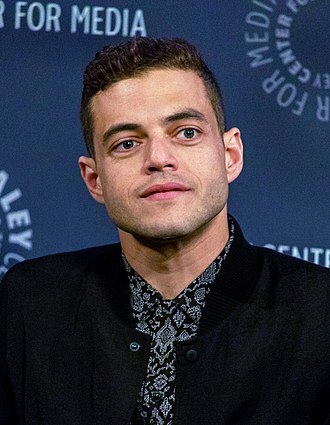 He directed several episodes of the show as well as episodes of 21 Jump Street, Van Peebles directed Malcolm Takes a Shot, a CBS Schoolbreak Special about an aspiring high-school basketball star whose obstacles include epilepsy and his own arrogance. Van Peebles appeared in the special in a cameo, as Malcolms doctor and he made his feature film directorial debut in 1991 with New Jack City. This was followed by Posse in 1993, Panther in 1995, in that period he co-directed Gang in Blue with his father. Heartbreak Ridge is a 1986 American Technicolor war film directed and produced by Clint Eastwood, who starred in the film. The film co-stars Mario Van Peebles, Marsha Mason, the film was released in the United States on December 5,1986. 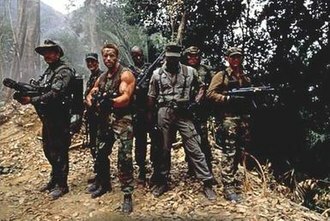 The story involves the actions of a group of U. S. Marines during the American invasion of Grenada in 1983, a portion of the film was filmed on the island. The title comes from the Battle of Heartbreak Ridge in the Korean War, the character played by Eastwood received the Medal of Honor for his actions in the U. S. Army there, even though he is now a U. S. Marine. The film was the 1000th to be released in Dolby Stereo, gunnery Sergeant Thomas Highway is nearing mandatory retirement from the Marine Corps. He finagles a transfer back to his old unit, when Highway finally arrives at the base, more bad news awaits. His new Operations Officer, Major Malcolm Powers, is an Annapolis graduate who transferred over from supply and has not had the privilege of combat and he sees Highway as an anachronism in the new Marine Corps, and assigns him to shape up the reconnaissance platoon. Recon is made up of undisciplined Marines who had allowed to slack off by their previous platoon sergeant. Among his new charges, Highway finds Corporal Jones, Highway quickly takes charge and starts the men on a rigorous training program. Highway repeatedly clashes with Powers and Staff Sergeant Webster over his training methods. Powers makes it clear that he views Highways platoon as only a tool for his own elite outfit. Major Powers goes so far as to make the Recon platoon lose in every field exercise, Highway is supported by his old comrade-in-arms, Sergeant Major Choozhoo, and his nominal superior officer, the college educated but awkward and inexperienced Lieutenant Ring. After Highways men learn that he had awarded the Medal of Honor in the Korean War, they gain respect for him. Aggie, his ex-wife, is working as a waitress in a local bar, Highway attempts to adapt his way of thinking enough to win Aggie back, even resorting to reading Cosmopolitan to gain insights into the female mind. John Elroy Sanford, known professionally as Redd Foxx, was an American comedian and actor, best remembered for his explicit comedy records and his starring role on the 1970s sitcom Sanford and Son. Foxx gained notoriety with his raunchy nightclub acts during the 1950s and 1960s, known as the King of the Party Records, he performed on more than 50 records in his lifetime. He starred in Sanford, The Redd Foxx Show and The Royal Family and his film roles included All the Fine Young Cannibals and Harlem Nights. In 2004, Comedy Central Presents,100 Greatest Stand-ups of All Time ranked Foxx as the 24th best stand-up comedian, Foxx was born in St. Louis and raised on Chicagos South Side. His father, Fred Sanford, an electrician and auto mechanic from Hickman, Kentucky and he was raised by his half-Seminole Indian mother, Mary Hughes from Ellisville, his grandmother and his minister. 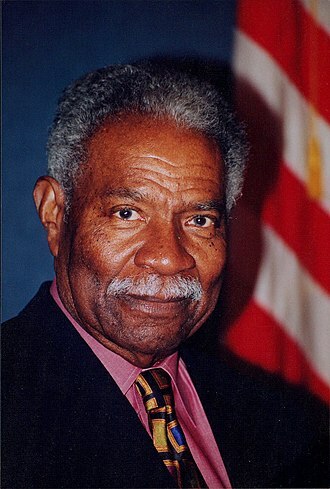 He attended DuSable High School with future Chicago mayor Harold Washington, Foxx had an older brother, Fred G. Sanford Jr.
who provided the name for his character on Sanford and Son. On July 27,1939, Foxx performed on the Major Bowes Amateur Hour radio show as part of the Jump Swinging Six, in the 1940s, he was an associate of Malcolm Little, known as Malcolm X. In Malcolms autobiography, Foxx is referred to as Chicago Red and he earned the nickname because of his reddish hair and complexion. His surname was taken from baseball star Jimmie Foxx, during World War II, Foxx dodged the draft by eating half a bar of soap before his physical, a trick that resulted in heart palpitations. On September 30,1946, Foxx recorded five songs for the Savoy label under the direction of Teddy Reig, Foxx gained notoriety with his raunchy nightclub act during the 1950s, 60s, and 70s. His big break came after singer Dinah Washington insisted that he come to Los Angeles, Foxx was signed to a long-term contract and released a series of comedy albums that quickly became cult favorites. He was one of the first black comics to play to audiences on the Las Vegas Strip. OShea Jackson Sr. known professionally as Ice Cube, is an American rapper, record producer and filmmaker. He began his career as a member of the hip-hop group C. I. A. after leaving N. W. A in December 1989, he built a successful solo career in music and films such as a role in drama Boyz n the Hood. Additionally, he has served as one of the producers of the Showtime television series Barbershop, both of which are based upon films in which he portrayed the main character. 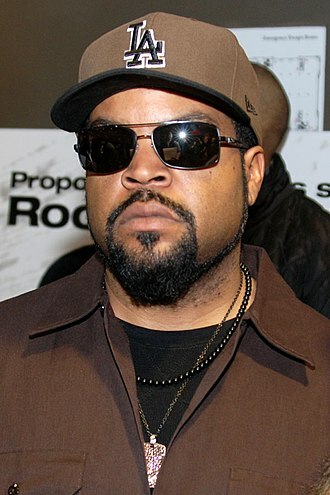 Ice Cube is considered one of the artists in gangsta rap. He was ranked number 8 on MTVs list of the 10 Greatest MCs of All Time, allMusic has called him one of hip-hops best and most controversial artists, as well as one of raps greatest storytellers. In 2012, The Source ranked him number 14 on their list of the Top 50 Lyricists of All Time, in 2014, About. com ranked him number 11 on their list of the 50 Greatest MCs of All Time. OShea Jackson was born on June 15,1969, in South Central Los Angeles, the son of Doris, a clerk and custodian, and Hosea Jackson, who worked as a groundskeeper at UCLA. He has a brother as well as a half-sister who was killed when Ice Cube was 12. In his early teens, Ice Cube developed an interest in hip hop music, Jackson penned his first rap song in the ninth grade after a friend, whom Jackson names Kiddo, challenged him to write a song during a typewriting class. He claims Kiddo lost the challenge, at the age of 16, Jackson sold his first song to future N. W. A. member Eazy-E. Jackson attended William Howard Taft High School in Woodland Hills and he enrolled at the Phoenix Institute of Technology in the fall of 1987 in Arizona. Being passionate about architecture, he studied architectural drafting and he completed his diploma within one year and returned to Los Angeles to pursue a rap career. Not sure of whether his rap career would work out, he would turn to become a draftsman as a career backup. With friend Sir Jinx, Ice Cube formed the C. I. A. Dre soon entered the recording industry as a member of the World Class Wreckin Cru. Dre saw Cubes potential as a writer and had him assist with writing Wreckin Crus big L. A.
Ossie Davis was an American film and Broadway actor, poet, playwright and civil rights activist. 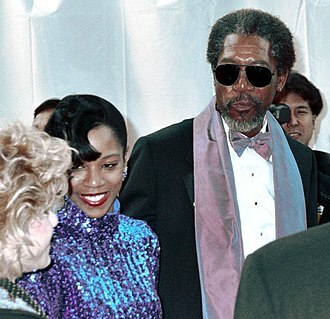 He was married to Ruby Dee, with whom he frequently performed and he and his wife were named to the NAACP Image Awards Hall of Fame, were awarded the National Medal of Arts and were recipients of the Kennedy Center Honors. 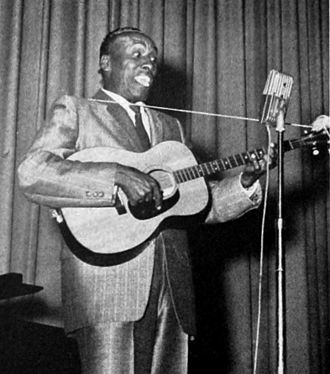 He was inducted into the American Theater Hall of Fame, in 1994, Davis was born Raiford Chatman Davis in Cogdell, Clinch County, Georgia, a son of Kince Charles Davis, a railway construction engineer, and his wife Laura. The name Ossie came from a county clerk who misheard his mothers pronunciation of his initials R. C. when he was born. So he inadvertently became Ossie when his mother told the clerk in Clinch County. Davis experienced racism from an age when the KKK threatened to shoot his father. His acting career, which spanned eight decades, began in 1939 with the Rose McClendon Players in Harlem, during World War II, Davis served in the United States Army in the Medical Corps. He made his debut in 1950 in the Sidney Poitier film No Way Out. He voiced Anansi the spider on the PBS childrens television series Sesame Street in its animation segments, instead, he tried to follow the example of Sidney Poitier and play more distinguished characters. When he found it necessary to play a Pullman porter or a butler, he played those characters realistically, Davis never had the tremendous commercial or critical success that Cosby and Poitier enjoyed. As a playwright, Davis wrote Paul Robeson, All-American, which is performed in theatre programs for young audiences. In 1976 Davis appeared on Muhammad Alis novelty album for children, The Adventures of Ali, Davis found recognition late in his life by working in several of director Spike Lees films, including Do The Right Thing, Jungle Fever, She Hate Me and Get on the Bus. In 1999, he appeared as a caretaker in the Trans-Siberian Orchestra film The Ghosts of Christmas Eve. For many years, he hosted the annual National Memorial Day Concert from Washington and his distinguished bearing made him a perfect choice for the concert. Matthew Broderick portrayed Shaw in Glory. 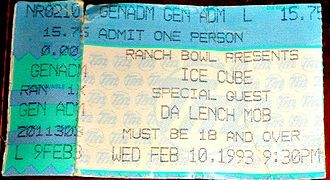 A ticket from a 1993 Ice Cube concert in Omaha, Nebraska. Davis with activist and opera star Stacey Robinson (left) in 1998. Kevin Peter Hall as the Predator. Photo of Redd Foxx in 1977.